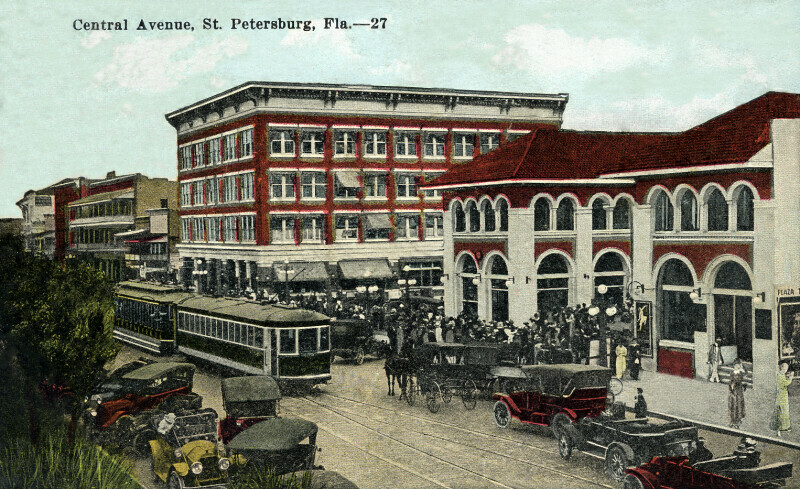 This postcard shows a large crowd on the sidewalks of Central Avenue in St. Petersburg, Florida. The nearest building is the Plaza Theatre, constructed in the Second Italian Renaissance style, and the building behind it is constructed in the Italianate style. There are vintage automobiles, horse-drawn carriages, and street cars using the road. WARNING: You are about to download a 4.7 MB TIFF!